1. REGISTERING AS AN ORGAN DONOR WILL NOT COMPROMISE YOUR MEDICAL CARE: Donation is only considered after all life-saving efforts have failed and death has been pronounced. 2. FAMILIES DO NOT PAY FOR DONATION COSTS: There is never any cost to the donor family or estate for the gift of donation. 3. A FUNERAL IS POSSIBLE AFTER DONATION: Donation does not disfigure the body and it’s possible to have a viewing, an open casket, or to be cremated. 4. RELIGIONS SUPPORT DONATION : All major religions in the U.S. support donation as an unselfish act of charity that will save or enhance someone’s life. One organ donor can save the lives of up to 9 people. Transplanted organs include the kidneys, liver, heart, lungs, pancreas and intestines. One tissue donor can improve the lives of up to 50 people. Transplanted tissues include corneas, heart valves, skin, bone, tendons, and veins. More than 100,000 people await life-saving organ transplants in the U.S. Eighteen people die each day awaiting a transplant because the organ they needed was not available in time. Students are eager to learn about how they can help others; more so if they can help save someones life. Teaching students about organ and tissue donation helps dispel misconceptions about donation, including misinformation they see on TV shows or movies. Living donation offers an alternative for individuals awaiting transplantation and increases the existing organ supply. In most instances, living donors are healthy individuals who volunteer to provide a whole organ (most commonly a kidney) or a segment of an organ to help a transplant candidate. In rare instances, known as “domino” transplants, living donors can also be individuals receiving a transplant themselves but whose native organ functions well enough that it can be transplanted into someone else. A transplant center makes the medical decision whether to accept a person as a potential living donor. Under the Organ Procurement and Transplantation Network (OPTN) contract with the U.S. Department of Health and Human Services’ Health Services and Resources Administration, UNOS collects data on all living donors and living donor transplant recipients. Under the Organ Procurement and Transplantation Network (OPTN) contract with the U.S. Department of Health and Human Services’ Health Services and Resources Administration, UNOS maintains a centralized computer network linking all organ procurement organizations and transplant centers. This computer network is accessible 24 hours a day, seven days a week, with organ placement specialists in the UNOS Organ Center always available to answer questions. A person who may benefit from a transplant is referred by his or her doctor to a transplant center, which evaluates the patient. The transplant center runs a number of tests and considers the patient’s mental and physical health, as well as his or her social support system. If the center decides to accept this person as a transplant candidate, they will add his or her medical profile to the national patient waiting list for organ transplant. The candidate is not placed on a ranked list at that time. Rather, his or her information is kept in a constantly updated, computerized database. When a deceased organ donor is identified, a transplant coordinator from an organ procurement organization accesses the UNOS computer. Each patient in the database is matched by the computer against the donor characteristics. The computer then generates a ranked list of candidates for each available organ in ranked order according to OPTN organ allocation policies. The match for each donor organ will be different and unique to the circumstances of the donor and the patients waiting. Factors affecting ranking may include tissue match, blood type, length of time on the waiting list, immune status and the distance between the potential recipient and the donor. For heart, liver, lung and intestines, the potential recipient’s degree of medical urgency is also considered. The organ is offered to the transplant team for the first person on the match list. 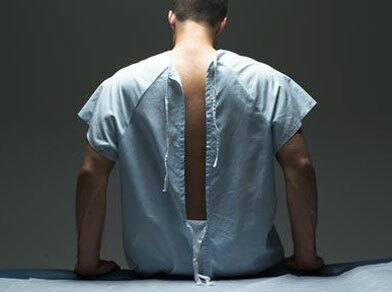 Often, the top patient will not get the organ for one of several reasons. When a patient is selected, he or she must be available, healthy enough to undergo major surgery, and willing to be transplanted immediately. Also, a laboratory test to measure compatibility between the donor and recipient may be necessary. For example, patients with high antibody levels often prove incompatible to the donor organ and cannot receive the organ because the patient’s immune system would reject it.